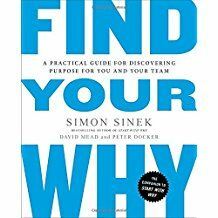 Last week, I posted Part 1 of a professional book review for Simon Sinek, David Mead, and Peter Docker’s Find Your Why: A Practical Guide for Discovering Purpose for You and Your Team. The information in last week’s post focused on the first sections of the book. I found “discovering your personal why” valuable, but the information below was why I was eager to read this book. Co-creating, nurturing, and sustaining a shared “why” is a theme running throughout my forthcoming book, Maximizing School Librarian Leadership: Building Connections for Learning and Advocacy (ALA, June, 2018). I believe school librarians can be leaders in this process. As Sinek, Mead, and Docker write: “The why is a tool that can bring clarity to what which is fuzzy and make tangible what is abstract… The WHY can help set a vision and inspire people. The WHY can guide us to act with purpose, on purpose” (26). Sinek, Mead, and Docker compare organizations to trees—with roots, trunk, and branches that form various subcultures. If the organization and the subcultures within it must be clear about their why in order to attract the “right” birds (new employees and leaders). Groups that pay attention to purpose and beliefs “tend to have the highest morale, are the most productive and innovative, have the best retention rates and over time are some of the highest performing groups in the company (school or district)” (87). One reflective exercise related to embracing a nested why is for an employee (educator) to think about to the time when she/he joined the organization (or school). “What inspired you most? What inspires you to remain in the organization?” Another is to tell a specific story about a time when you were proud to work for this organization (school/district). How did this action better the lives of others? The authors offer a strategy for discovering a nested why. This strategy involves inviting an outside facilitator who is known and trusted by members of the “tribe.” A facilitator must be objective and a superior workshop leader. The authors note that people should work for companies (schools) where they “fit the culture.” If an employee (faculty member) shares the values, believes in the vision, and the shared purpose of the organization, then their individual why will serve the company’s (the school’s) overarching why. “The opportunity is not to discover the perfect company (school) for ourselves. The opportunity is to build the perfect company for each other” (19). For most of us in education, we will not have the luxury of hand-picking our coworkers. In K-12 schools, principals and colleagues will come and go. But if we have a strong school culture with a shared purpose, we will help our new colleagues nest their whys into our learning community. They will choose to join our faculty because they share our values and seek to further their own why alongside us. I believe school librarian leaders have an essential role to play in discovering, developing, and sustaining (collaborative) school cultures. Sharing core values makes colleagues part of a team. Expressing those values in terms of how we achieve our values helps our teams consistently do our best work. “Hows” can help us become a “tribe.” For example, as a school culture, we may value “collaboration,” but why and how we act on that value is equally important. Now that’s a culture where my personal why will fit comfortably, and I will be able to contribute to the purpose of such a school. It is also a culture that is focused on growth. “If every member of a team doesn’t grow together they will grow apart” (195). As the AASL National School Library Standards for Learners, School Librarians, and School Libraries motto, Think, Create, Share, Grow, suggests, school librarians will accomplish our whys and create joyful, sharing learning communities when we grow together alongside our colleagues, administrators, students, and families. This entry was posted in Leadership, Professional Book Reviews and tagged school culture, school library leadership by Judi Moreillon. Bookmark the permalink.